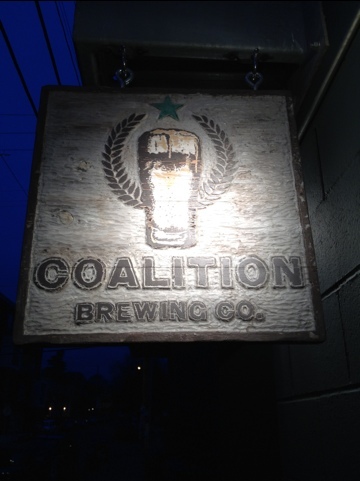 Tucked away in the original Nobel Rot space, Coalition is a small, quiet, comfortable local pub, just the right size for a night with friends or a casual date (we seemed to be surrounded by both). Limited food selection does not make this a dining destination, serving only snack foods, such as chips and salsa, bread and butter, and chili. 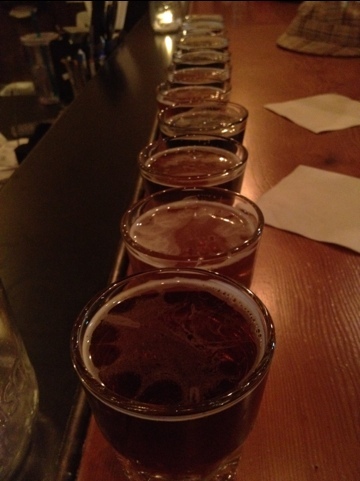 However, with twelve delicious brews on tap, we highly recommend stopping in for a beer or two. The bartender was informative and friendly, offering his recommendation, which we always welcome. The dark wood tables, cool cement floors, excellent beer and dimly lit room makes this a must stop on a crawl. Overall: We like it - the cozy atmosphere, the beer, the knowledgeable bartender, but if we might make a suggestion, first go to Esparza’s for dinner, then cross the street to Coalition for a couple beers and some quiet conversation. 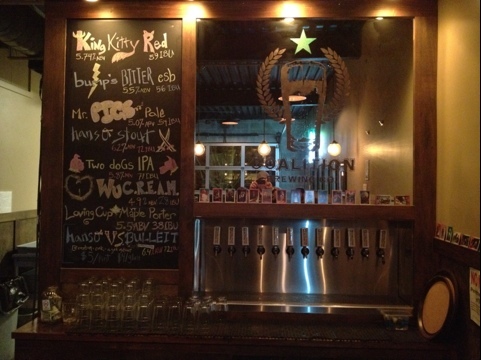 Sterling H. is drinking a Two Flowers at Coalition Brewing Co.
John L. is drinking an Eruption Imperial Red at Coalition Brewing Co.
John L. is drinking a Chocolate Oak Aged Yeti at Coalition Brewing Co.
John L. is drinking a Shredder's Amber Wheat at Coalition Brewing Co.